Due to my endometriosis, I had put on a lot of weight suddenly and it has been a struggle to keep it stable and losing the excess is of course, a lot harder. Thus, I decided to do something about it and I turned to Su Lee of Look Good, Feel Great Always for a consultation. Su Lee is a trained chemist, working for other industries for 20 years before becoming a wellness coach but because of her chemist background, she studies how food affects the body in a cellular and chemical way. After an initial meet up, Su Lee asked me to track my food and drink intake (including water) for 3 days in a sheet that she gave to me. After 3 days, I dutifully handed it to her and waited for a couple more days before she could evaluate and meet me for the proper consultation. So...I was very nervous about the results because although I keep telling myself that I'm eating well (stop thinking that eating well = eating a lot), it's hard to hear what a professional would say about my diet. As expected, my calorie input and output are almost the same. This means that my portioning is good! Personally, I feel that Fitbit has really helped me out on this. However, Su Lee said that I wasn't drinking enough water (oops). What does it mean when you're not drinking enough water? Your body doesn't flush out as much toxins as it should and as a result, it remains in your blood stream until it has the chance to be flushed out and naturally, this taxes your kidneys and liver. Also, I was not eating enough fibre. I do need to load up on fruits and vegetables while continuing to eat meats that are low in fat. Phew! Looks like my tons of research into crafting my diet is paying off! I just need to be a wee bit more conscientious but I told Su Lee that it's really difficult when I'm eating most meals out and breakfast seems to be the only meal that I can control. Next came out her 'special' weighing machine, which measures not just weight but also skeletal muscle, fat and water in one's body. Reminds me of the machine that I use in my gym! After taking my weight and comparing what Su Lee's scale churned out against what my gym's machine churned out, the conclusion is that I do have a bit of water retention issue (not drinking enough water) and (duh) I have excess fats. I got a box which contains 60 packets and will last me for 30 days if I faithfully take 2 packets a day. 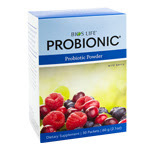 In addition to this, Su Lee also suggested that I take probiotics to help replace the bad bacteria in my intestines with good ones because this will aid digestion and the body's natural detoxification process. What I liked about this probiotics is that it tastes like berries while containing the same amount of probiotics when compared to those pills that your doctor prescribes to you after you've had a bout of diarrhoea. Moreover, it contains a lot less sugar than most probiotic drinks out there. If you're lactose intolerant, this is a much better substitute to yoghurt. Please note that all prices are before shipping and GST. The consultancy includes an initial meet up, 1 hour face-to-face analysis and recommendation for diet and exercise as well as follow up. All appointments can be booked through Pásshen!